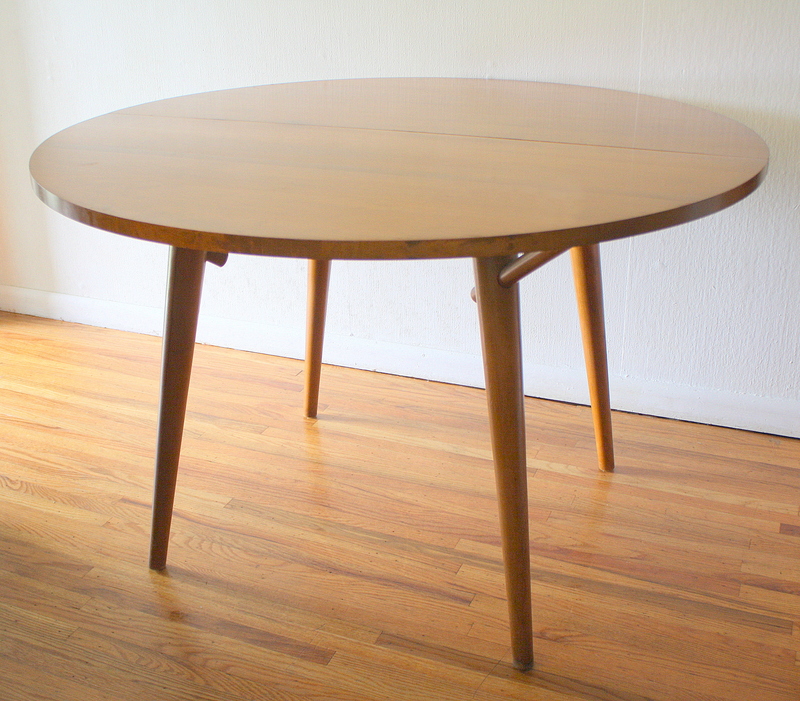 This is a mid century modern dining refractory dining table by Mobler. The leaves slide out from the table for extension. Dimensions: 53″W x 35.5″D x 30″H, extended with leaves: 92.5″W. 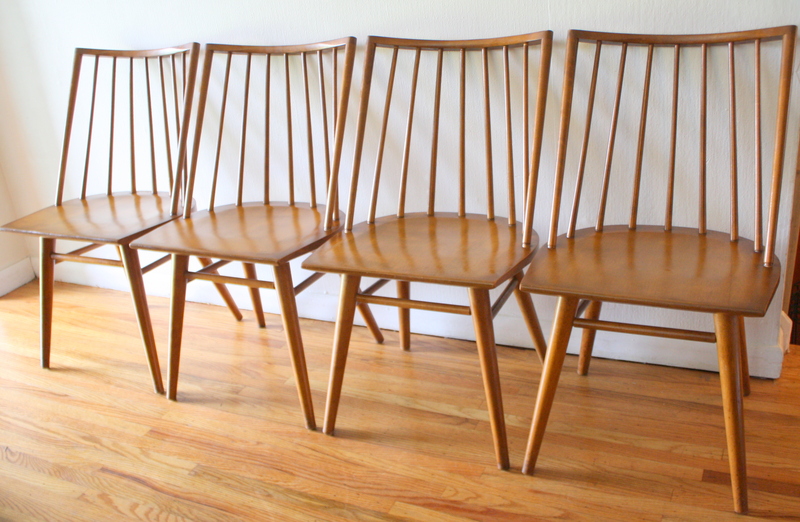 It is pictured with a set of 4 teak dining chairs with curved backs and woven rush seats: seat width: 17″, seat depth: 17″, seat height: 17″, back height: 32″. 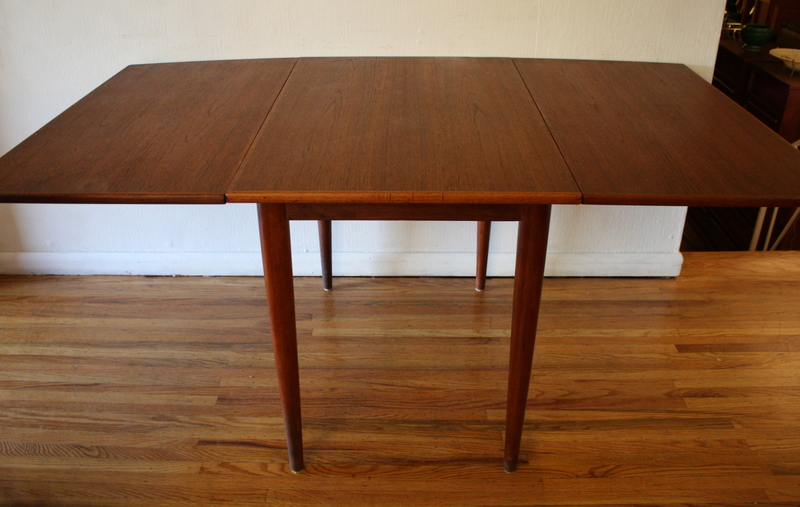 Teak table and chairs are sold. 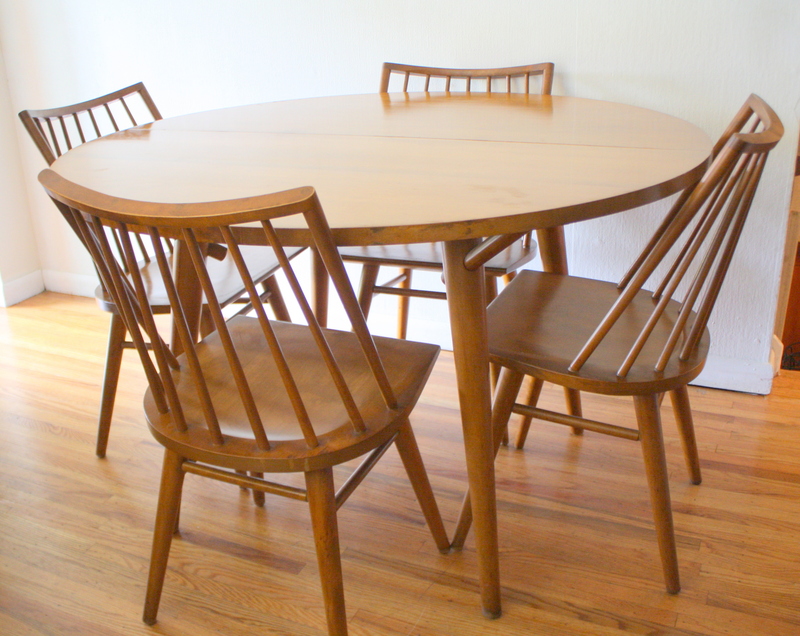 This is a mid century modern dining table and set of 4 dining chairs. The dining table has a surfboard design with parquet sides and tapered legs. 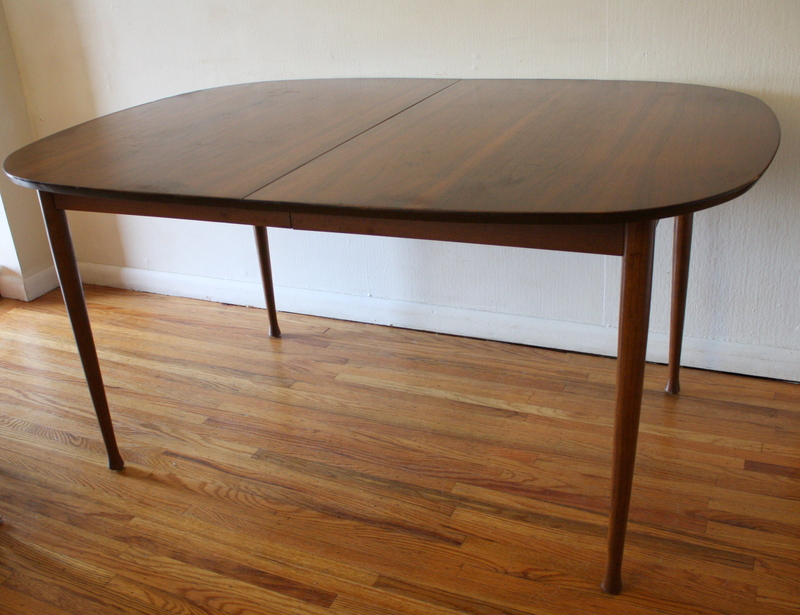 It also has a special hidden feature of a hidden leaf that unfolds once the table is opened. Dimensions: 60″W x 40″D x 29″H. 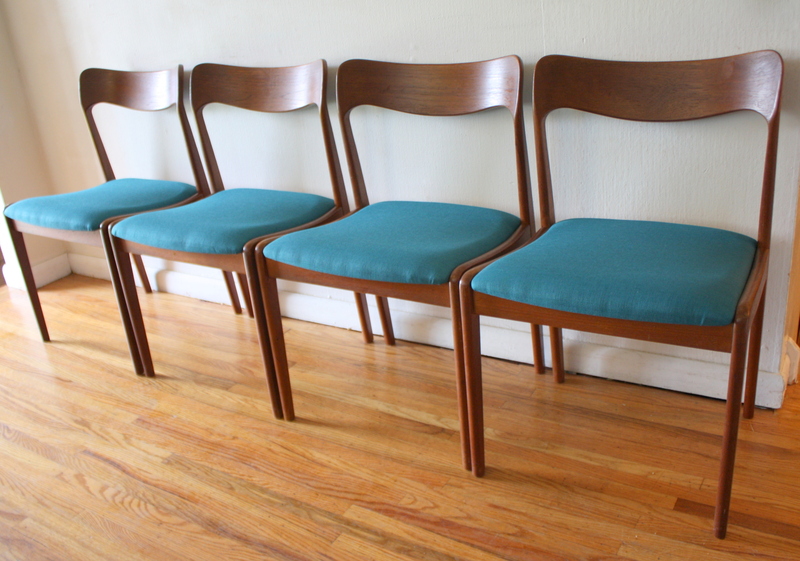 The set of 4 chairs have rattan backs and newly upholstered seats in a modern teal tweed. Danish servingware accessories sold separately. This dining set is sold. 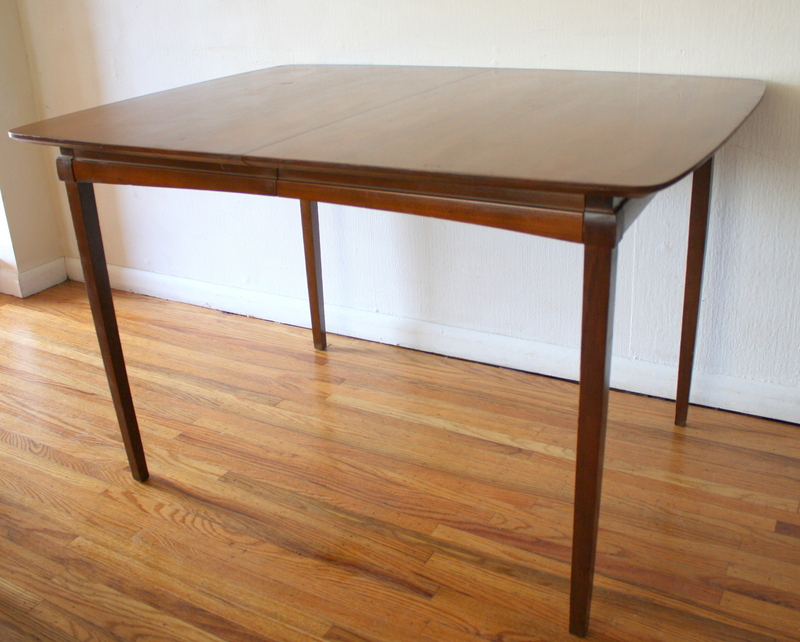 This is a mid century modern table with splayed legs and and butcher block top. 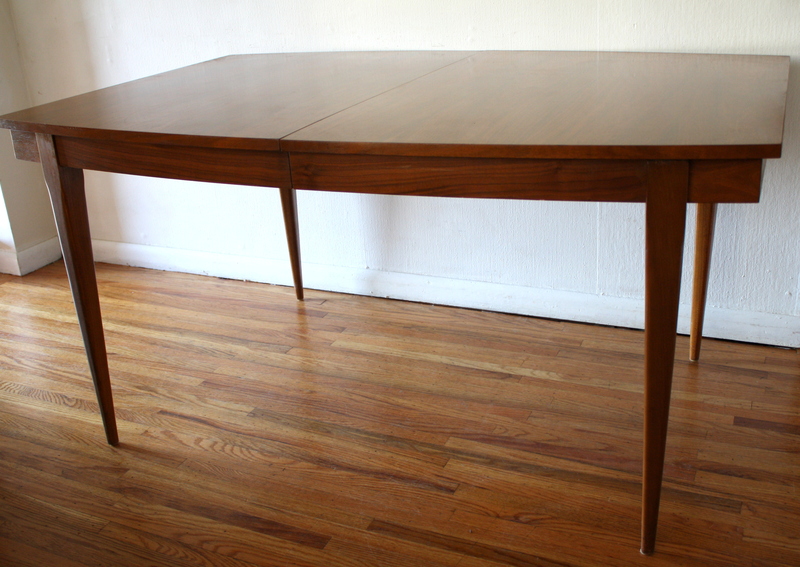 This table is perfect for compact spaces as a dining table or desk. Dimensions: 38″W x 29″D x 30″H.